I live in Virginia. 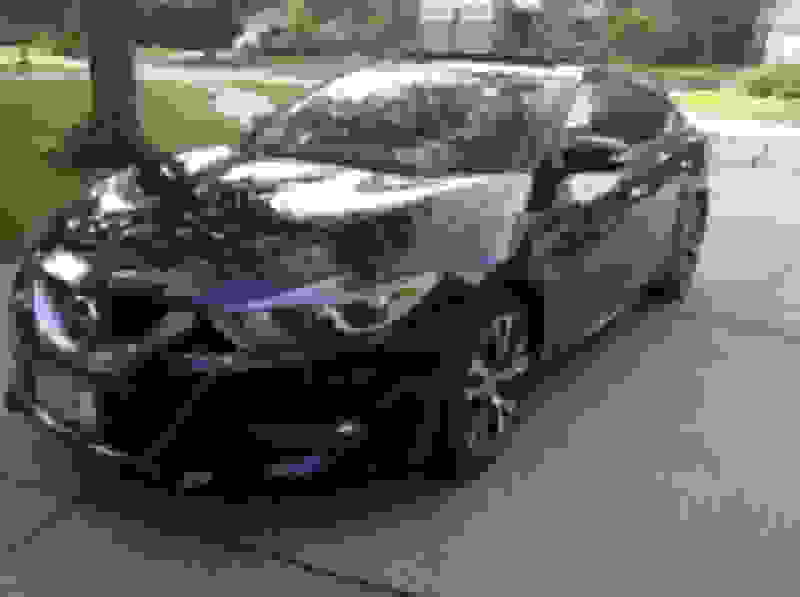 I used Truecar to find my car. Quote on a '16 Platinum Trim, Brilliant Silver with charcoal interior with no additional accessories is $37,100. I contacted the dealership and they are willing to let it go for $37,000. This is before any taxes and fees. I plan on making my way to see them by this weekend and getting this beautiful car. Pics to follow. Did you get that price because of a particular program or your personal negotiation skills? How much did you offer initially to get to that final price? On the doc fees. Are these fees what they normally charge or is that also discounted? Are you sure its the 2016 Platinum? The MSRP on the Platinum is 40685 with the destination fee and the invoice would be 38030 with destination fee. no programs available. did all my negotiating directly with sales manager via text. it helped that i had no trade and was a cash buyer. originally offered $36 flat. two back and forth and i concluded with a best and final offer, willing to be there in 30 minutes to take delivery. imo, much of it depends on the current state of their business when you happen to reach out. i probably got lucky on this one. 1. Post a pic of the sticker? 3. Ask the salesperson if he would like you to give out references, let him/her know you are also giving out the price. May make her/his year if he get's enough business. Last edited by scottatl; 06-23-2015 at 10:54 AM. Excellent work! How about on the doc fees? Are those the standard fees they charge or you negotiated that fee? In Miami Florida, the True car Estimate for the same MSRP as yours (40685) is 41,804. Its over MSRP over here. I which part of the country do you get that TrueCarEstimate? I did not talk to a dealer. you just need to fill out the trucar form and see where they send you. WasDmayer. I did my negotiations via email and specifically mentioned '16 Platinum Trim. Just confirmed today over the phone. Heading to the dealer Friday. 37k before any taxes and fee. With destination fee it should be 37800. Awesome to see that some movement is available on the price. I think I will still wait until fall then see what they offer me for trade and discount on sticker. Can't wait to pick up my SR. Please stop talking about things other than price, we do not need to know what you think about how it looks. Use another thread for that. Thank you very much! We appreciate it!! 2016 Maxima SL, got $1300 off MSRP price (total I paid $36750, MSRP around $38,150, with dealer add-ons was $40,150 sticker price). Was $3300 off through Edmund's car buying service, but the dealer had $1995 in add ons, about $169 doc fee. They were unhappy about the Edmund's quote, but as it mentioned specific stock number, they honored, and said they would fix Edmund's pricing "error". Usually I would never accept the dealer add-on (paint and interior protection, typically less than $100 of cost), but given there was only one SL in my color in all of St. Louis I went for it relatively pleased with $1300 off MSRP (or $3300 off sticker if you want to look at it that way) on a new redesigned car just out. In St. Louis, TrueCar was netting somewhere around $300-1700 off, but only existing stock items. Prob padded stickers with add-ons like mine, but not sure. With my stock number (again, on gunmetal/Cashmere SL in St. Louis metro area), couldn't get more than $300 off with TrueCar, or via USAA car buying service. Spoke with a couple internet managers, and they would only apply to in stock, not on a dealer swap. And for ordering, my dealer only was allotted 3 slots until further notice, unknown delivery date. Last edited by cnp; 06-25-2015 at 03:18 PM. The dealer wanted to charge me 48,000 before any taxes. After some negotiations they brought it down to $37,000 before taxes. Sounds like a super shady dealer if they are marking SL's up to $48k. Yeah I was very surprised. Supposedly they charge A 10K mark up. In the end all came out well and I got my dream car. Pearl white Platinum with Illuminated kick plates, 18 alloy wheels, Premium spoiler, Splash Guards, Carpet mates and trunk mats. Sticker price with destination fee: 43,145. Purchase price: 39,500 plus tax, tag fees, document fee and 8 dollars for battery fee. This is a great example of the purchase info that is very helpful, at least to me. Details how it is equipped, states the sticker price, and what was paid before all the extra tax, title, misc fees. Thanks! BTW, great choice- color and equipped just as I would want as well! that was helpful, the only thing that would also be good is the doc fee. This is a BS fee that can be negotiated. I have seen it between $199 and $899. I am in Miami Florida. The Document fee was 699.00 dollars. This for sure can be negotiated. In fact, at another dealer this fee was waived altogether. In this case, I did not negotiate the fee. When I first negotiated for this car, the salesman did not want to move at all from the sticker price. I offered the salesman Invoice price , which I had calculated to be 39,949 with all the accessories plus 1% . I offered 40,349 for the car. He said that he could not do anything on the price, that the car was to fresh, too new, that they were selling like hotcakes. So I told him I was leaving. As I was leaving , he said the Internet manager wanted to speak with me and I told him not to bother and left. When I got home, I had an e-mail from the Internet manager with a quote of 39, 500, which was 849 less than I myself had offered. So did nothing else and went to pick up my car. My wife bought a VW beetle a month ago. The salesman told her that removing the document fee was illegal (lol). I told her to refuse and to leave if they did not remove it. Guess what? The dealer did something illegal and removed it. I recall the Internet Manager returning my emailed offer on an '00 SE over fifteen years ago with a note saying the doc fee was non-negotiable. My response was that they would then need to lower the price of the car an amount equivalent to the doc fee, and I also told her I knew that was negotiable. It was. I enjoyed my '00 SE. At my price. ....<snip> I offered the salesman Invoice price , which I had calculated to be 39,949 with all the accessories plus 1% . I offered 40,349 for the car. <snip>. Yes, of course. The dealer is Autonation Nissan Kendall. The salesman name is Jeffrey Araujo. Internet Manger name Alberto Turienzo Jr..
Be aware the some dealers in the area have dropped their prices today but still over a thousand dollars over what I paid at this dealer. Just keep this in the back of your head and you might be able to do even better. Thank you do much WasDmater - that was very kind of you and very much appreciated. Yes, of course. The dealer is Autonation Nissan Kendall. The salesman name is Jeffrey Araujo. Internet Manger name Alberto Turienzo Jr.
Who has experience buying across state lines? Does the dealer incur additional expense or do they do some horse trading to keep shipping costs down? $39,288 before GA car tax (7%) + $599 doc fee. Final price: $42637. I'm looking for $41,000 out the door. Hi S. Doesn't matter - you can pick up in any state. Taxes based in your home country. If you want delivered, then will have to negotiate that (they have retired drivers that can deliver). I've bought several cars (incl my 2016 SL) across state lines. This deal did not go through. 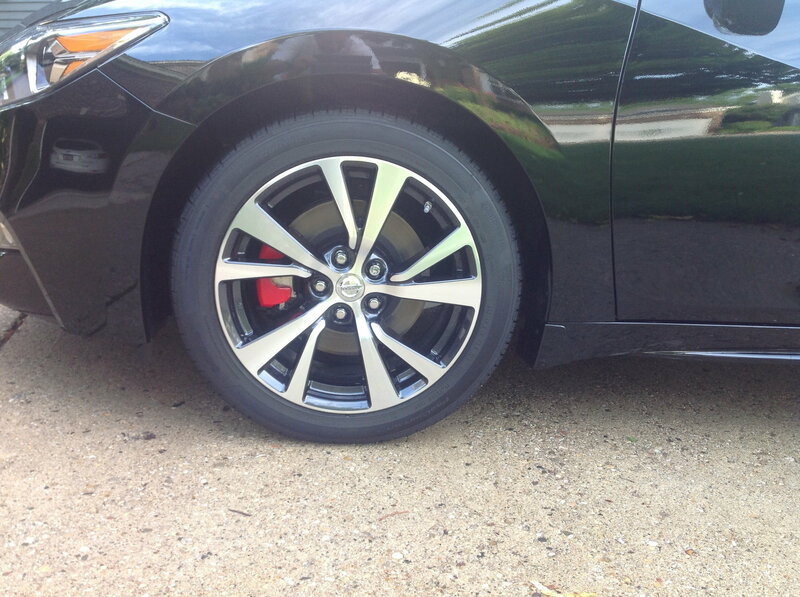 If you are in Northern VA area never shop at Leckner Nissan in Stafford, VA. They used excuses after excuses on why they could not give me the price we agreed on the car. After finally agreeing on $34,500 on an SL trim before any taxes and fees, they gave me another run around about not accepting a pre-draft check from my bank. That did it and I walked out. I ended up buying the Platinum trim, black on black, splash guards, floor mats, kick plates with illumination, and premium spoiler from Pohanka Nissan in Fredererickburg, VA. MSRP was $39,860. Sticker price after options and destination charge was $41,850. I ended up getting the car $41,500 out the door. Savings of about $2,800 after taxes and fees. All negotiation was done via text with the salesman. LOVE THE CAR and the dealership experience. What interest rates are you guys seeing out there? For those that have purchased, did you go through NMAC, or through a private lender? I know the Maxima has 2.29% thru NMAC... My credit union currently offers 1.99% for 60 months... I qualify for 0%, so trying to get best deal rate. I got it for 2.24% 60 months thru credit union. NMAC offered 2.99% 60 months. My Fairfax credit score was 738. Credit union offered 1.99 but for 36 months. Loaded SL Black without spoiler , interior Lights, ground Lighting, Splash Guards,Mat set, $38,700 list. Added spoiler from parts $475 installed. Seen some kind of invoice and it said $36,400. Plus $189 Doc. Painted Red. Car is my own version of a Midnight SL. 3m ClearGuard on front end, Mirrors, door jams , trunk lid. Works Great and cannot even see. Anyone who purchased the Base S model can you add a spoiler to that at the dealer too or just the SR and models? 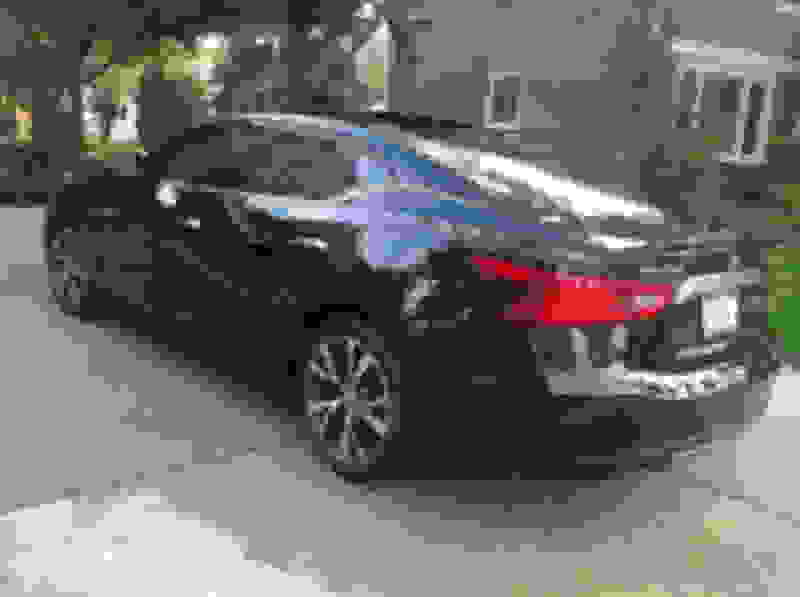 This thread was done for the 7th gen Maxima, figured it's a good idea to do for the 8th as well. So, what kinds of prices have you all been getting/seeing so far at the dealerships? 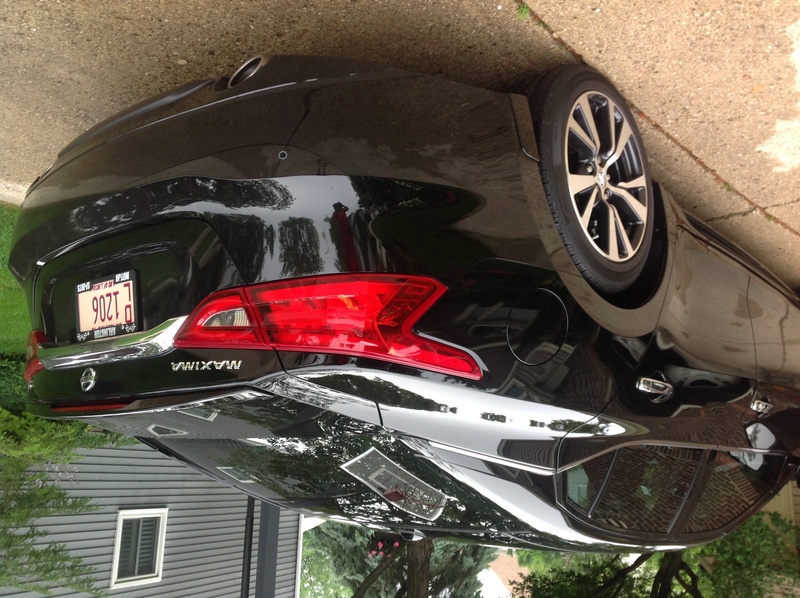 Where are the cheapest new maxima's being sold around the country? What trim level did you get or are planning to get? What exterior color and interior color? And what options did you/will you elect to get? How much did you pay out the door with tax? What options do you feel are way overpriced? Built a pearl white Platinum on USAA's car buying site (Truecar) with premium spoiler, external ground lighting, internal mood lighting, floormats, illuminated kickplates, and splashguards. Truecar estimate $39,562. I calculate the invoice at $38,901. Three dealers have contacted me to say they will honor that quote. Will be visiting them this week. And no one has heard about sales being suspended. I am in Massachusetts, by the way.